13 HippoRollers were delivered at the end of May to a community in Mathibestad, South Africa - Click here for the photo. Did you know this about Rotary? 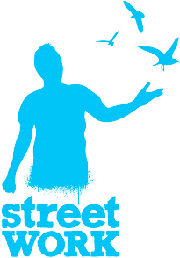 Check out our forthcoming guest speakers - use the link on this page. Check out this link. Our HippoRollers will soon be on their way to Pomfret! Rotary Club of Chatswood Sunrise and St Pius X Do it Again! 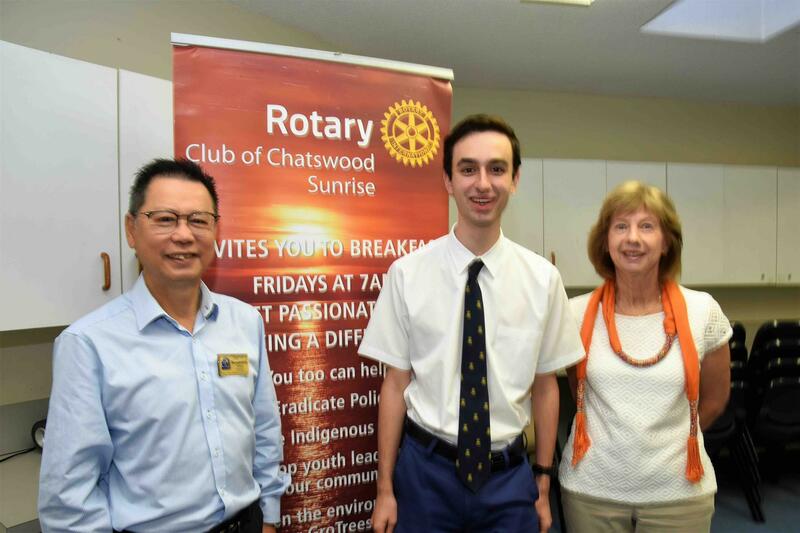 Daniel Scipioni, Year 12 student from St Pius X College, was invited back to the Rotary Club of Chatswood Sunrise on Friday 8th to tell of his experiences at the National Youth Science Forum, held earlier this year in Canberra. The Club had sponsored Daniel to this, in his words, “fantastic experience.” When asked what his best impression was, Daniel mentioned the fact that he became aware of the vast range that the Sciences encompass. He hopes to do a general Bachelor of Science degree before deciding on which path to take. Rotary provides a number of opportunities for young people and Chatswood Sunrise, with its strong Youth program emphasis, encourages schools to apply for them. Sponsored by the Club, for example, Willoughby Girls’ High is sending two teams to Rotary’s Model United Nations Assembly – we wish them well. Photo (Bill Forsyth): Chatswood Sunrise’s President, Andrew Chew, Daniel Scipioni and Rotary Assistant District Governor, Fiona Jenkins. Unfortunately we did not get our Global Grant. WE were told that our proposal did not fit Rotary International's sustainability guidelines. Needless to say, we are very disappointed. However, thanks to the generosity of Martin O'Dea (a long-term supporter of HippoRollers) we are able to use his $15,000 donation, our $6000 allocation and $1000 from the Rotary Club of Como in Western Australia to supply HippoRollers to Pomfret. 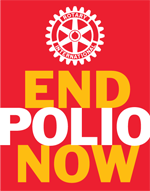 Rotary Clubs in New Zealand will separately contribute to this fund. 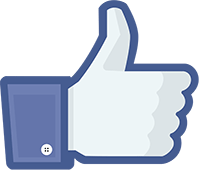 Check out our Facebook page for more details of the project. We recently decided to provide a "scholarship" to a maximum of $500 for an Aboriginal student going into Year 11 in 2019. 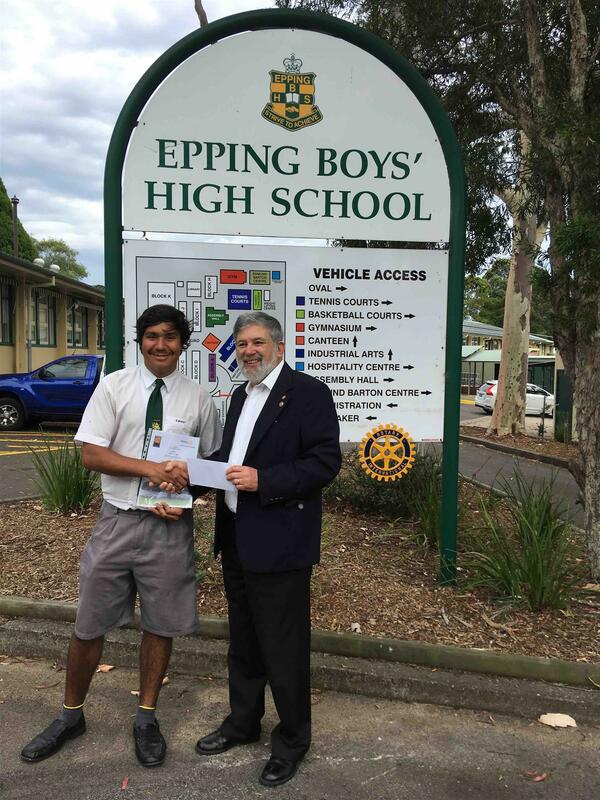 With the help of the Ryde Aboriginal Education Consultative Group (AECG) and Dave Lardner, a Department of Education consultant, schools were canvassed and, based on the criterion of a two-part question, Jayden from Epping Boys' High was selected. Here's Treasurer Bob handing over the cheque (for the school) and a GroTree for Jayden. (13/12/18) The money comes from our recent sale of puddings. You will notice the Rotary wheel in the background - the Rotary Club of Epping has a long-standing and deep involvement with the school. Click on "Guest speakers" above to learn about Julia Selby, who be presenting to us on Friday 6th April. A Right Royal "Thank You"
We acknowledge the Cameraygal people, the Traditional Custodians of the Land on which we meet and pay our respects to Elders past and present. 3. The reason(s) for the gift eg "To Maria Bentley, Happy Eightieth Birthday." Donate a tree in your name or in the name of someone who deserves recognition. $20 will see a native Australian tree planted by Landcare in your name or in the name of a recipient. Some time later, feel free to visit your tree and give it a hug!